Africa – the world’s second largest continent. Think of Africa and deserts and mountains and jungles and wild animals spring to mind. It offers visitors such a diversity of sights and experiences – from the pyramids of Egypt to the plains of the Masai Mara, from the heights of Mt Kilimanjaro to the thunderous roar of Victoria Falls, from the souks of Morocco to the wine route in South Africa. 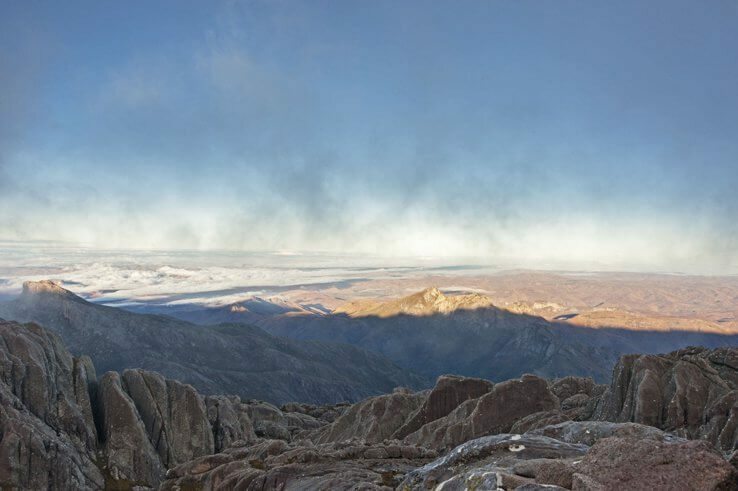 A continent rich in history, languages, culture and traditions – a continent like no other. I asked some top travel bloggers what their favourite country or experience has been when they have traveled Africa and this are their fantastic responses! LET’S TRAVEL FROM CAPE TOWN TO CAIRO! Tanzania is a dream of many travelers. This country in East-Africa has some of the most amazing natural attractions of the whole African continent. In Tanzania you can find Mount Kilimanjaro, the highest peak of Africa, many beautiful national parks to see wildlife, and the Island of Zanzibar with fascinating beaches also belongs to Tanzania. The best thing to do in Tanzania is to dedicate most of your time to the national parks found in the North of the country. First of all, you will find here the king of all national parks, the Serengeti. This vast park represents how you probably imagine Africa and how you saw it in documentaries. You can see all majestic animals from lions to leopards here. Near the Serengeti, there’s the Ngorongoro Crater, which has an incredible concentration of wildlife, and it’s one of the few places where you can spot black rhinos. In addition, you can also visit the Tarangire National Park with the hugest elephant colony in the country. To do a safari in these national parks is not cheap, but you can save a lot of money if you sleep in tents. The latter will also let you be in closer contact with nature. You can find out more on Instagram and Facebook! While Rwanda is far from the most popular travel destination in Africa, its one of only a few countries where mountain gorillas can be found. Tracking gorillas in Rwanda means hiking through the incredibly lush landscape of Volcanoes National Park to wherever the gorillas happen to be that day, and then spending an hour observing them. We were lucky to see baby gorillas being carried on their mothers backs and large silverbacks beating their chests, as well as other gorillas eating from the surrounding plants and simply walking in front of us. Seeing these magnificent creatures is prices, but if you can swing the cost, its a once-in-a-lifetime experience. To protect the gorillas and their environment, very few permits are available, so be sure to book in advance. You can find out more about Jen’s travels on Instagram and Pinterest. Many travel sites are rating Cape Town as a trending destination for 2017. 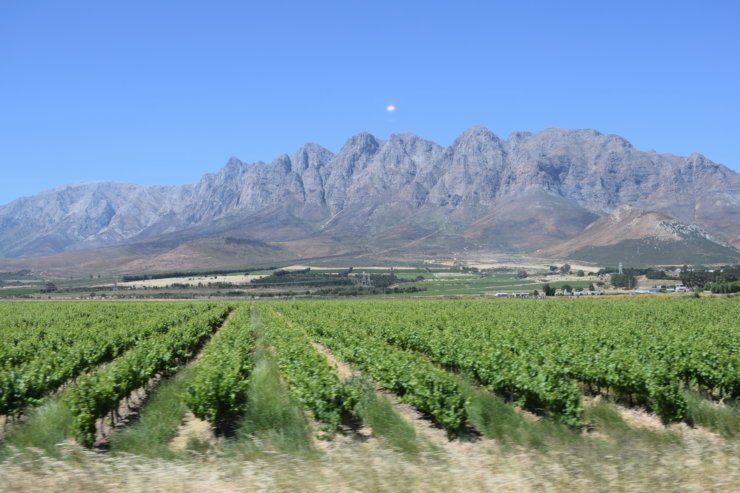 And after exploring the pristine beaches and scaling Table Mountain, you’ll have to take a drive along the Stellenbosch wine route (or “Stellies” as the locals affectionately call it). This region, situated about a 45-minute ride from central Cape Town, offers epic scenery and most importantly world class wines. In 2016, this region grabbed 3 trophies at the International Wine and Spirit Competition (IWSC) including best Chenin Blanc, Cabernet Sauvignon and Pinotage (a varietal invented in this very region). “I’m not much of a wine drinker” you may be mumbling to yourself. No worries! Stellies is also home to world class restaurants like Delaire Graff, Clos Malverne, Jordan, Meerlust and Tokara that offer fine dining at its best. There’s also a fantastic farmer’s market every Saturday (called the Slow Market), pubs, family-friendly restaurants, outdoor music concerts and movie screenings. And for the adventurers there are amazing trails to walk, hike and ride. Head to Jonkershoek or Assesgaaibosch for a day in the forest (both R40 for adults and R20 for kids). Or take a slow stroll around the city centre and do some shopping at the boutiques or view some art in the many galleries and museums. Wine drinkers are spoilt for choice though (over 200 wineries). You’ll basically have to close your eyes and point to a winery on the map, as there are too many great ones to mention. Tourist favorites include Kanonkop, Spier, Fleur Du Cap and Rust en Vrede. Don’t miss out on the amazing Helshoogte Pass. Although this area is spectacular, Stellenbosch is only one of many wine routes in the Cape. If you’re serious about wine, it’s definitely worth visiting all the others. Notes: Please make reservations before visiting any of the wineries or restaurants as they may be closed on Saturdays or Sundays. It is also advised to get a taxi or hire an Uber if you’re going to be drinking. Drinking and driving is not tolerated in South Africa and the legal limit is a breath alcohol content of 0.24mg per 1,000ml, or a blood alcohol limit of 0.05g per 100ml, which is basically under one glass of wine! Two years ago we spent 5 weeks in Madagascar, travelling independently from one side of the island to another. We loved Madagascar, and think it’s a must for all nature lovers planning to experience some truly unique nature. With places like the Tsingy de Bemaraha, an amazing stone forest, and the famous Avenue du Baobab near Morondava, Madagascar truly has some of the most beautiful landscapes we’ve ever seen during our travels! It’s not the easiest country to travel independently, but it can be done. We have two Madagascar travel tips we want to share with you – first of all, don’t miss the national parks, even though they can be pricey as guides are compulsory. Second, make sure you allow plenty of time, as the Taxi-Brousse (minivans) used to travel around the country are very slow! You can find more from The Crowded Planet on Facebook and Twitter! Tofo is one of those towns that is known by plenty of South Africans seeking some sun, surf and scuba diving. To the rest of the world it remains relatively unknown. Beneath the ocean’s surface tropical currents mix with cooler waters creating a haven for marine life. The BIG draw cards here are the manta rays and whale sharks. I was lucky enough to do my PADI Dive master Training in this beach town and blow bubbles with these magnificent creatures on a daily basis. For scuba divers this place is amazing, but not for the feint-hearted. Dive boats launch through the sometimes rough surf and strong currents mean negative entries (rolling back off the boat and descending immediately and quickly) and deep dives. You are rewarded with epic encounters with marine mega fauna. Manta cleaning stations are dotted along the coast and the rare giant oceanic mantas come in to have parasites removed by cleaner wrasse. 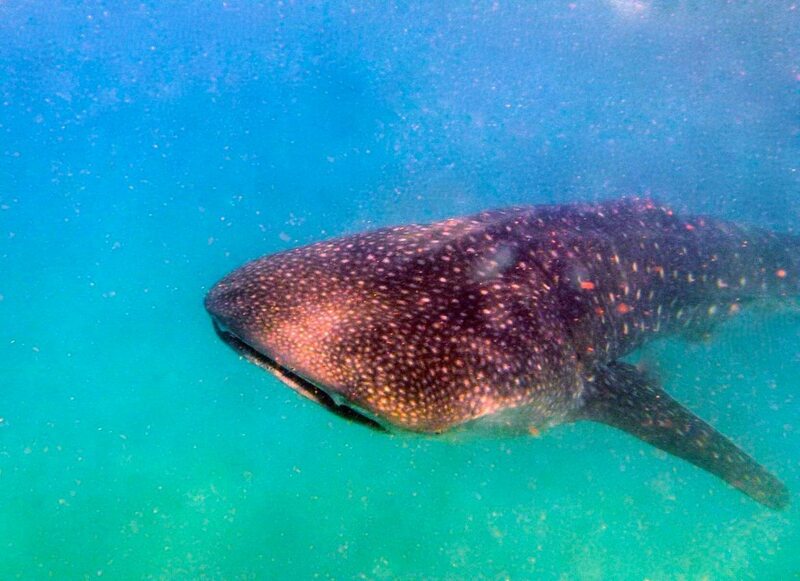 Snorkelling encounters with whale sharks are common as these gentle giants come in to feed on the plankton rich waters. Avid scuba divers needs to put Tofo on their bucket list! Lake Malawi sits on the border of Malawi, Tanzania and Mozambique. It is one of the largest lakes in Africa and the jewel on the crown of Malawi’s tourist trail. No visit to Malawi would be complete without a few days—or weeks—of lounging on the lake’s tranquil shores. 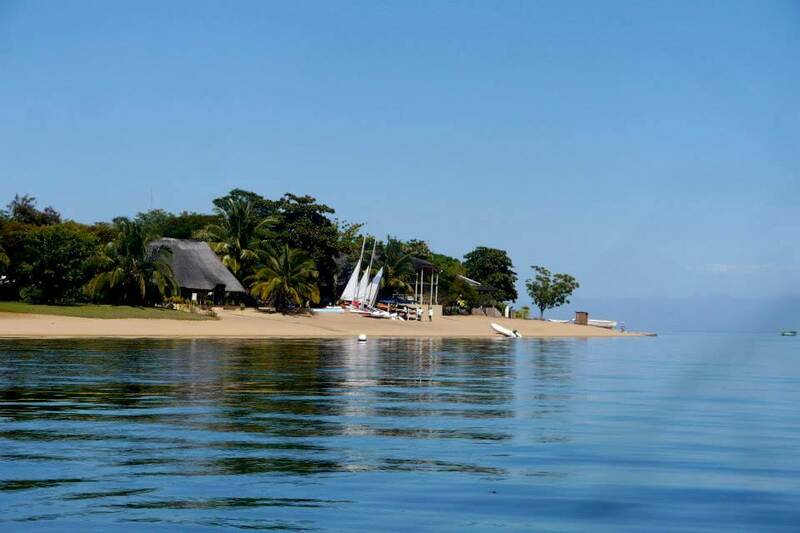 For Lake Malawi is a World Heritage Site, a marine sanctuary and the country’s beating heart. Lake Malawi boasts some of the best fresh-water snorkeling on the planet. Its waters are home to over 600 unique species of small cichlids that come in every color of the rainbow and fill the crystalline lake with clouds of brilliant color. At the water’s edge, the lake’s beaches buzz with activity and the rhythm of of local life unfolds with the rise and fall of the sun. From the plentiful fresh seafood to the laid-back vibe and from the friendly lakeside villages to some of the best sunsets anywhere on Earth, there is so much to love about Lake Malawi. It is no wonder that, upon laying eyes on the glistening waters of Lake Malawi, Livingston deemed it the Lake of Stars. Cape Town is consistently listed as one of the top cities in the world – and one of my favourite cities too. The accolades are truly well-deserved. A trip to Cape Town incorporates many aspects – beautiful beaches, historic city, abundant natural beauty and scenic winelands are just some of them. Perched between the ocean and the mountain, and with a national park as its heart, Cape Town is also known as the Mother City of South Africa. It has a number of famous landmarks such as Table Mountain, one of the seven natural wonders of the world, Robben Island where the iconic Nelson Mandela was incarcerated for 18 years and the magnificent Kirstenbosch National Botanical Gardens. A kaleidoscope of diverse cultures gives the city a cosmopolitan flavour, and vibrant environment different from the rest of South Africa. Cape Town is truly unique. There’s nowhere quite like it! Namibia is an incredible country with lots to see and do, but there are three main highlights you definitely don’t want to miss. If you are coming to Namibia from Cape Town, South Africa, the very first landmark on your way will be the Fish River Canyon. The second largest canyon in the world will take your breath away! Sunrise or sunset are the best times to visit. 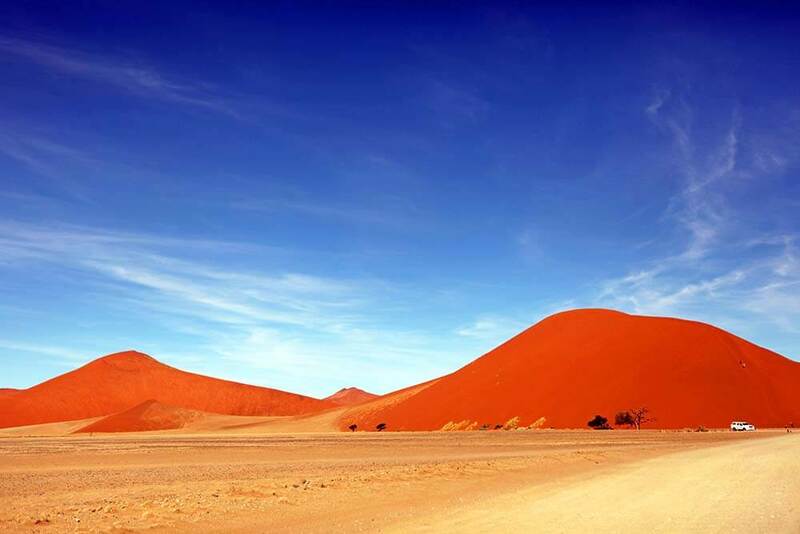 As you travel North, you’ll pass the Sossusvlei. Climb the world’s largest sand dunes and make sure you don’t miss the incredible light- and colour spectacle at sunrise! 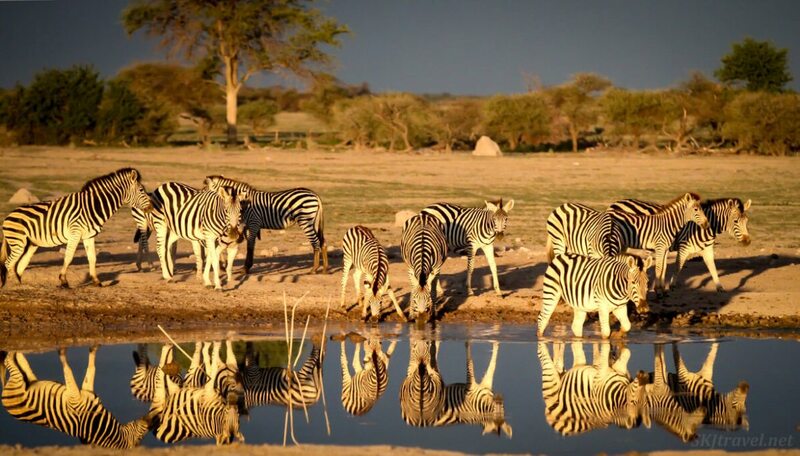 The third stop as you continue your trip Northwards is the Etosha National Park. Its the greatest wildlife sanctuary in Namibia where you can expect to see many elephants, rhinos, lions, leopards, zebras, antelopes, giraffes, and many other sorts of African animals and birds. While one day its enough for the Fish River Canyon or the Sossusvlei, you definitely need to plan at least 2-3 days for Etosha. You can find more suggestions and a complete Namibia road trip itinerary on Full Suitcase travel blog. 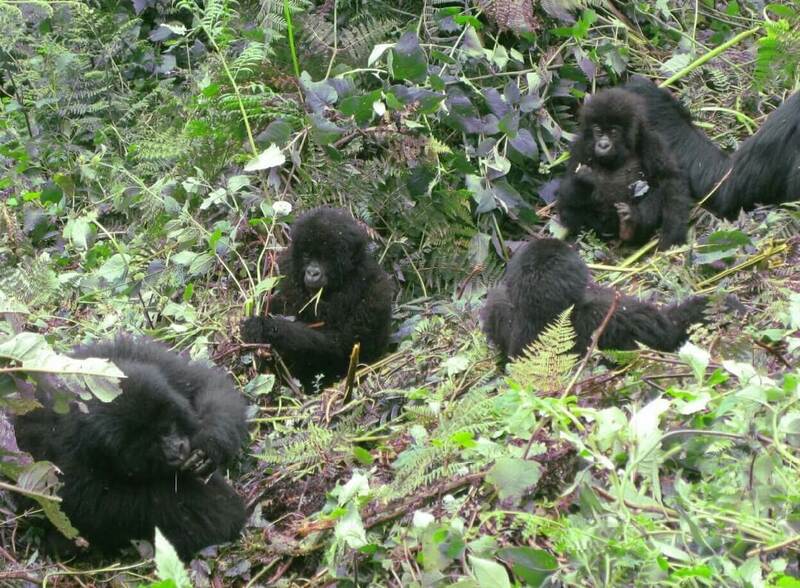 Most visitors travel to Rwanda to trek mountain gorillas in Volcanoes National Park. 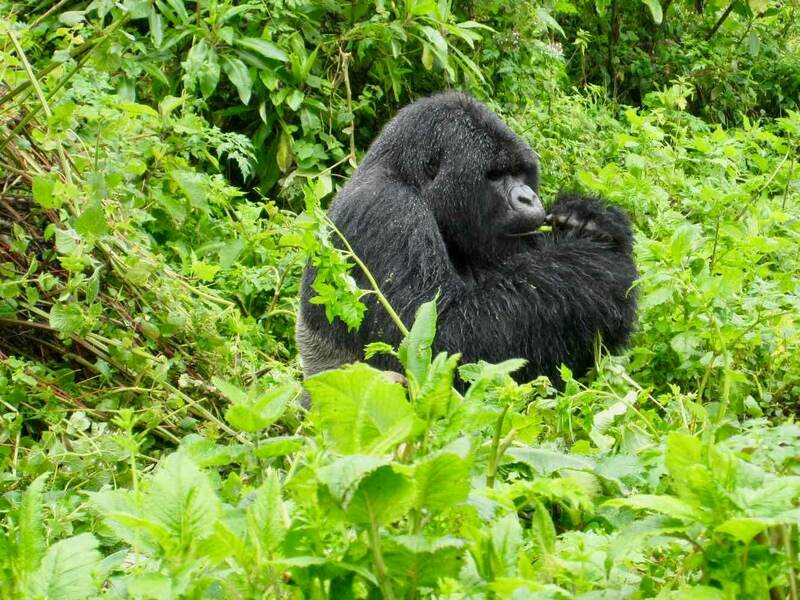 Visitors to Volcanoes National Park hike through the forest for an up close view of the endangered mountain gorillas and spend one unforgettable hour observing an enormous silverback and family eating, playing and just hanging out. Perhaps lesser known but still worthwhile are Rwanda’s other charms. Wildlife enthusiasts would appreciate that the country is home to one of the largest concentrations of chimpanzees and other primates or that game viewing here is a possibility. Nature lovers would appreciate that Rwanda rightfully gets the nickname “land of a thousand hills” from the beautiful misty green landscape. City lovers would appreciate Kigali, a clean (one of the first places to ban plastic bags) and vibrant city with a surprising amount of eating options. Most importantly, although a sobering reminder of the country’s past, a visit to the genocide memorial is a must to grasp how far Rwanda has come. 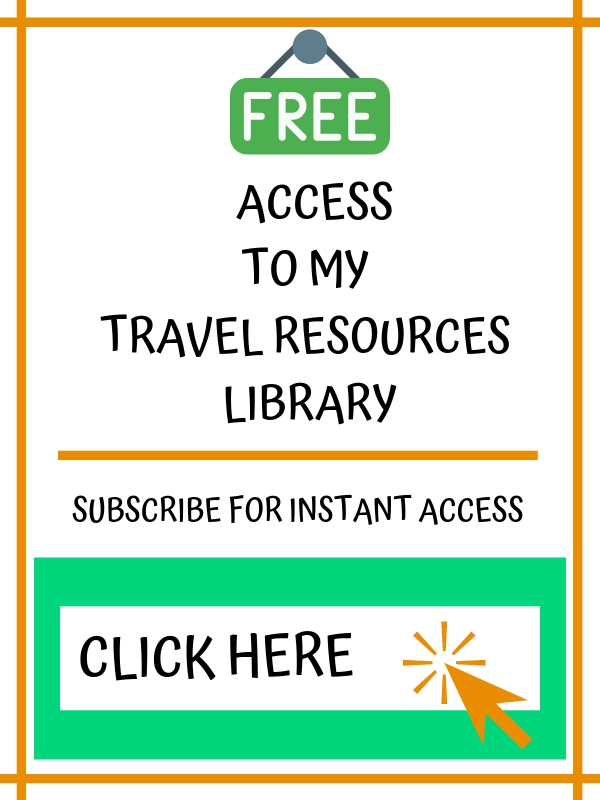 You can find more from the The Travel Sisters on Pinterest and Facebook! Ramabanta is a hidden gem nestled in the mountains of Lesotho. It’s one of those places that people haven’t heard of, making it the perfect place for exploration. You won’t find tourists here, instead you’ll find children asking you to play and elders offering you their home-brewed beer. You won’t hear horns honking or traffic passing, only the sounds of cowbells as the shepherd boys herd their sheep and of women chatting as they spin wool into yarn. This is the place where you can travel deeper, live authentically, and experience that which most other travelers will not. While there, be sure to listen to stories, laugh with the locals, hug the children, and soak up every bit of happiness you’ll witness. It will be abundant. When traveling to Africa make sure to spend a few days in Victoria Falls. Victoria Falls is actually in two countries Zambia & Zimbabwe, I have visited the Zambia side twice. 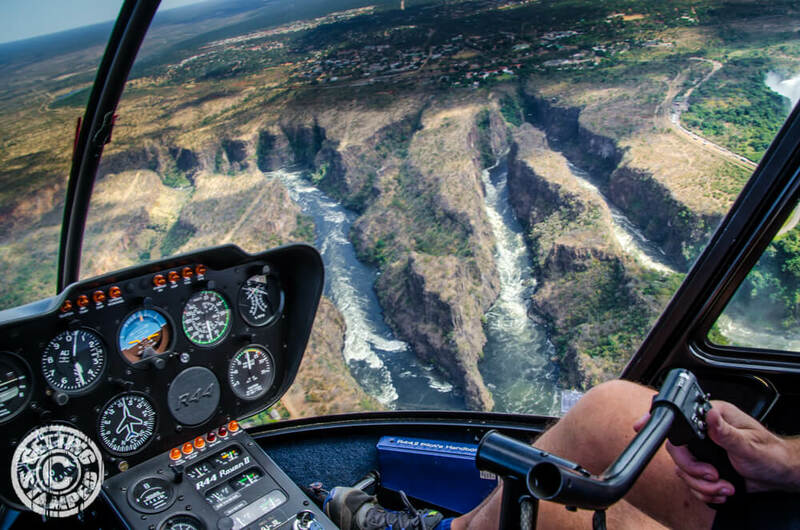 There are a ton of Victoria Falls activities but my all time favourite is jumping in a helicopter for a 30 minute flight above Victoria Falls and driving thru the gorges. The views from the helicopter really show you how HUGE Victoria Falls is. No other view will compare, trust me when in Victoria Falls get in a helicopter. You can find more from Getting Stamped on Instagram and Facebook! 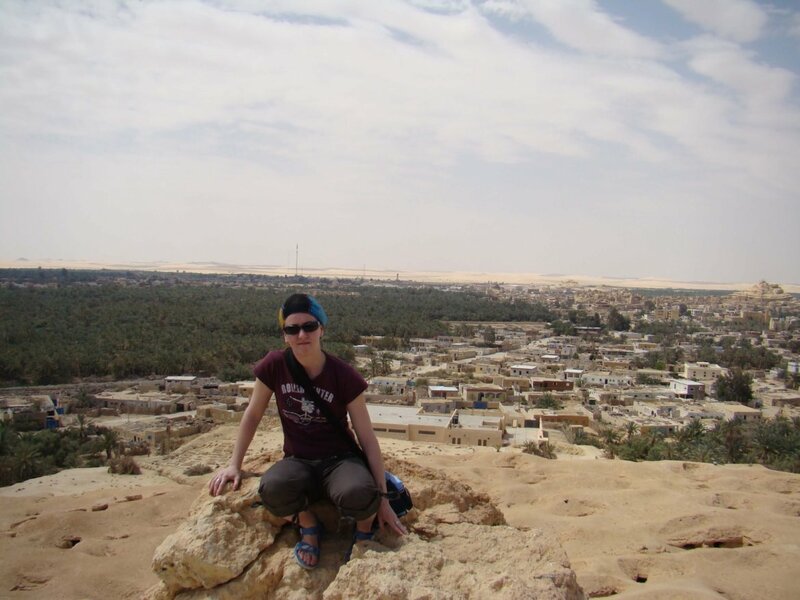 Maria visited Northern Egypt and she shares her experience of visiting Siwa Oasis. Siwa Oasis is a small village located in the Sahara desert, hundreds of kilometres away from any civilization. To get there, it took us 5 hours on a bumpy bus ride, but it was all worth it in the end. The oasis is amazing – green, authentic and you almost feel like you have travelled back in time! There is hardly any reminder of the modern world – cars are old and dusty, houses are handmade. People live a simple life here. Locals are really hospitable and welcome visitors, you can even stay overnight! For history lovers, visiting the ruins of the Oracle temple is a must. For adventure seekers there are cool jeep safaris in the desert, sand boarding and many hiking opportunities. At nights, the sky is covered with millions of bright stars – I’ve never seen so many in my life! Such a great little gem, untouched by time and hectic of the modern world! After a little research on which African country we wanted to visit next, Jim and I decided on Uganda. This country, rich in beautiful landscapes and wildlife, is still not on many people’s radar, but it soon will be. One of the main reasons to go is to see plenty of primates, like chimpanzees in the wild and enjoy an affordable safari. Right on the equator, the weather is nice year-round, and since it’s rather small in area, we were able to drive ourselves everywhere. We enjoyed the plethora of birds, over 600 species that come through during migration as well as plenty of mammals. We saw elephants, giraffes, and plenty of hippos. If you want to go somewhere a little off the beaten path, go to Uganda. 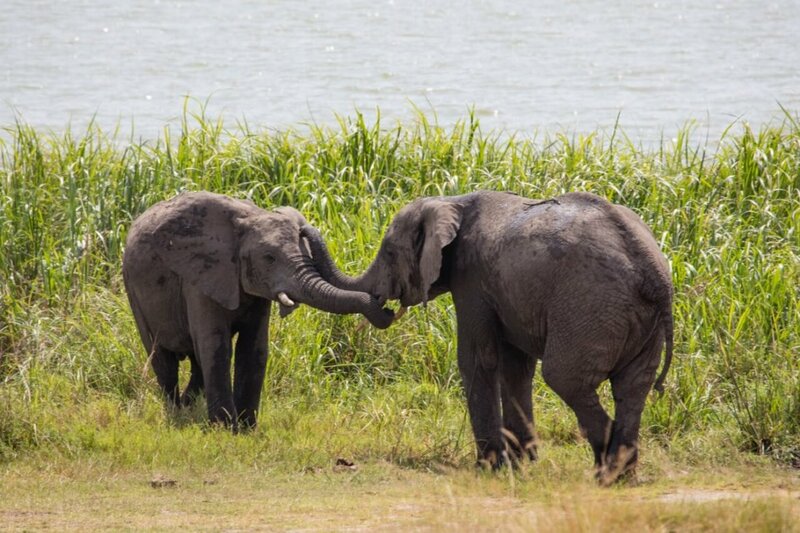 Read more from reflectionsenroute in their itinerary for a self-drive experience in Uganda! 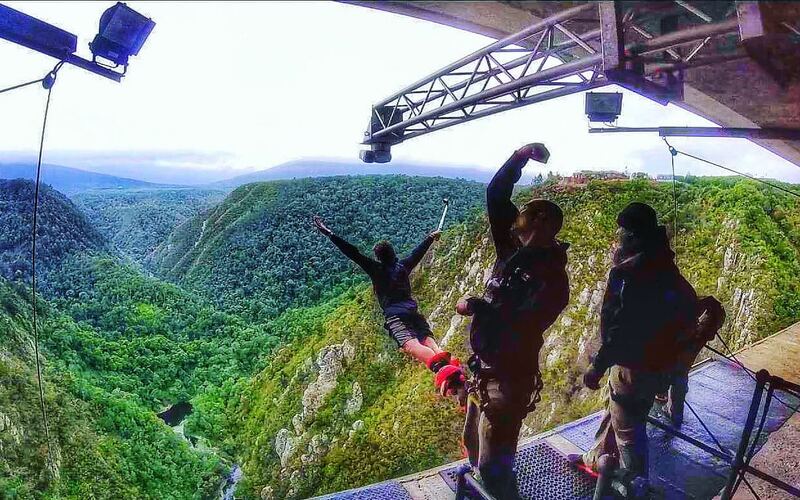 Bloukrans Bridge, located along South Africa’s well-known Garden Route (6 hours from Cape Town), is recognized as the world’s highest commercial bridge bungee jump. The bridge, named after the river below and constructed in 1983, stands at a height of 216 meters (~700 feet). For comparison, the Eiffel Tower is 325 meters (~1,000 ft.) at its peak. The bungee jump has been operated by Face Adrenaline since 1997 and is open year round (but recommended during the summer months). For those worrying, there hasn’t been an “accident” since its inception. South Africa is known to be a hub for adventure activities, and passing through just wouldn’t be the same without some type of adrenaline rush. And there are few greater thrills than letting a stranger wrap some cords around your feet and jumping off a bridge, willingly! You’ll walk away with a natural high that won’t go away anytime soon… and just think about all the bragging you can do back home! This is a must for any adventure/adrenaline junkies, and highly recommended for anyone looking to jump out of their comfort zone. The 30-second free fall is totally worth a lifetime of stories. And if you decide to go a second time, you can even jump off backward! 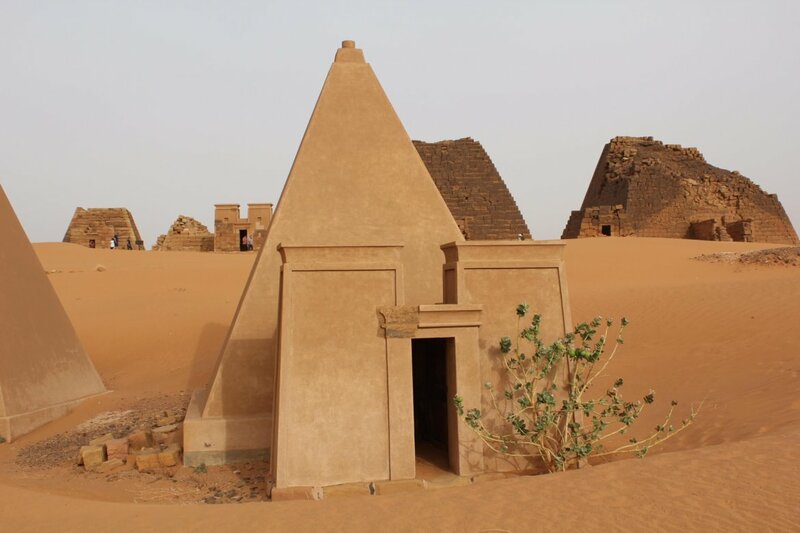 Sudan could be described as off the beaten path but the country is rich in culture and history. While Egypt is known for their pyramids Sudan has approximately 250 pyramids and their history dates back to 2000 BC. The most impressive pyramids are located outside of Khartoum at the Pyramids of Meroe. There are more than 200 pyramids at Meroe, many in ruins in the middle of the desert, and all built in the distinct Nubian design and proportion. Nubian pyramids are different from Egyptian pyramids in that they are tall and narrow. Many have had to be restored because explorers blew the tops off of the pyramids hoping to find gold and other treasures. I had the pleasure of exploring the unmissable pyramids of Meroe in the middle of the desert in 50 degree Celsius heat (122 Fahrenheit) and without a single other tourist there! Check out Travel gal Nicole on Instagram too! 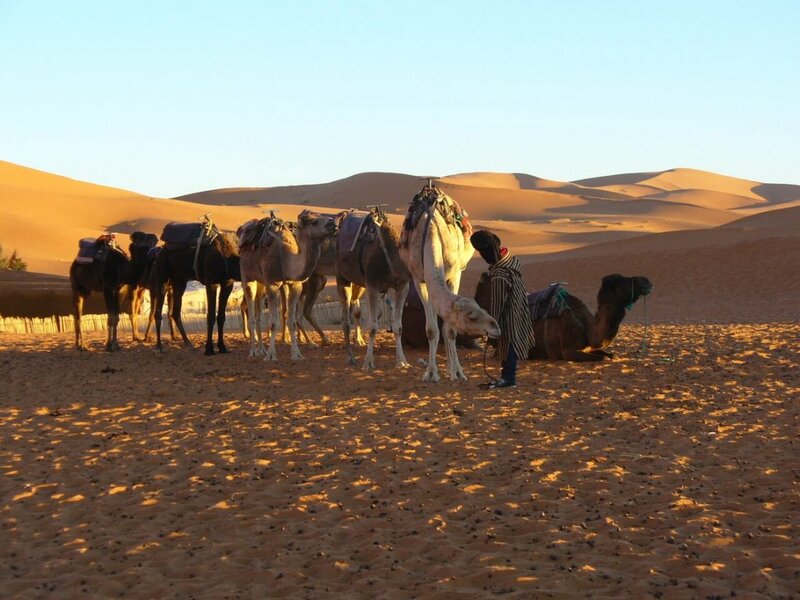 “One of my travel highlights so far has been riding a camel through the Sahara Desert in Morocco. We started our journey from Merzouga, the gateway to the Sahara, and travelled for around 1 hour until we reached a Bedouin tent nestled among the sand dunes. I must admit, getting on the camel was a bit of a challenge (I ended up dangling upside down from the saddle), but the ride turned out to be rather pleasant. Livingstonia, in the north of Malawi, may be difficult to get to, but it’s worth the effort. Established by missionaries from the Free Church of Scotland in 1894, Livingstonia is perched high above Lake Malawi. To get there, take the “21 bends” up from the lakeshore, but only attempt it with a four-wheel drive car. It’s a terrible road, only intermittently paved, but the views opening up as you navigate the hairpin turns are breathtaking. At the top, when I strolled past the colonial-era red-brick houses, I could imagine the white missionaries sipping gin and tonics on the wide verandahs in the cool of the evening, complete with knee socks and safari helmets. 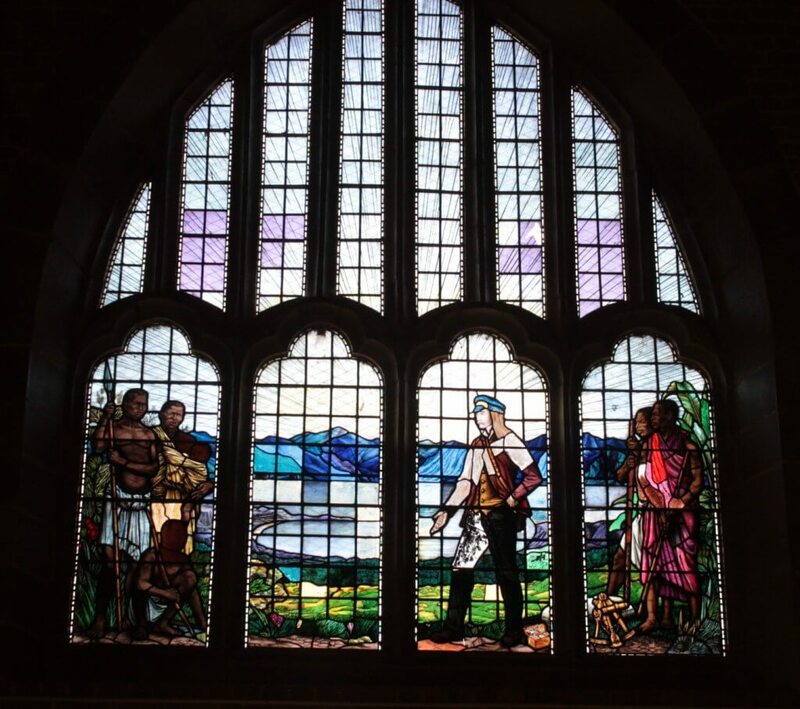 The simple, but large and echoing brick church holds one stained glass window that is a true throwback to the colonial era: it depicts a white man in safari dress “enlightening” local people in traditional clothing. It’s amazing that the window has survived into the post-colonial period. I visited a couple of the game reserves inside the vast Kalahari region of Botswana. For most of the year it’s famously arid — the quintessential desert, the epitome of dry, parched land. I, however, visited during the short rainy season, or “green” season in February and was astounded at how lush and green and flowering this desert was. I saw many of the iconic safari animals – elephants, lions, cheetahs, giraffes, etc., but I was particularly delighted to find the Central Kalahari Game Reserve bustling with darling little bat-eared foxes. Watching them chase after bugs and termites across the green savanna in little packs, perpetually moving (difficult to photograph!). Coming across two cheetahs just a few yards away from our vehicle was a highlight in the Nxai Pan, but a particularly special morning for me there was a rich, golden pink sunrise at a blue waterhole perfectly reflecting the herd of zebras drinking there. Because these game parks are sparsely populated with tourists during this season, my guide and I watched the zebras in magical silence, just the two of us. You can find out more about Shara’s travels on Facebook and Twitter! Morocco blew my mind and my senses! You step off the plane and the heat hits you, you walk through the narrow alleys and the smells hit you and you enter the souks and the sights hit you, I’m telling you – it’s an assault on all your orifices! But what a place! You will never experience haggling like it anywhere else than in the Moroccan souks, at one point I almost lost my travel companion for the exchange of 400 camels (which I thought was a pretty fair price, but she was unwilling) and you really learn the art of bartering, but it’s so much fun and done in good humour if you just raise a smile. You must visit the Jemaa el Fnaa in Marrakech at night when the square turns into a bustle of stalls and their holders vie for your attention, the scene is electric and you’ll never want to leave. And don’t leave Morocco before first experiencing a traditional Hammam Spa. You may loose your bikini top to the rather nonchalant masseuse’ but you’ll also loose a kilo of dead skin and leave feeling the newest you’ve ever felt. 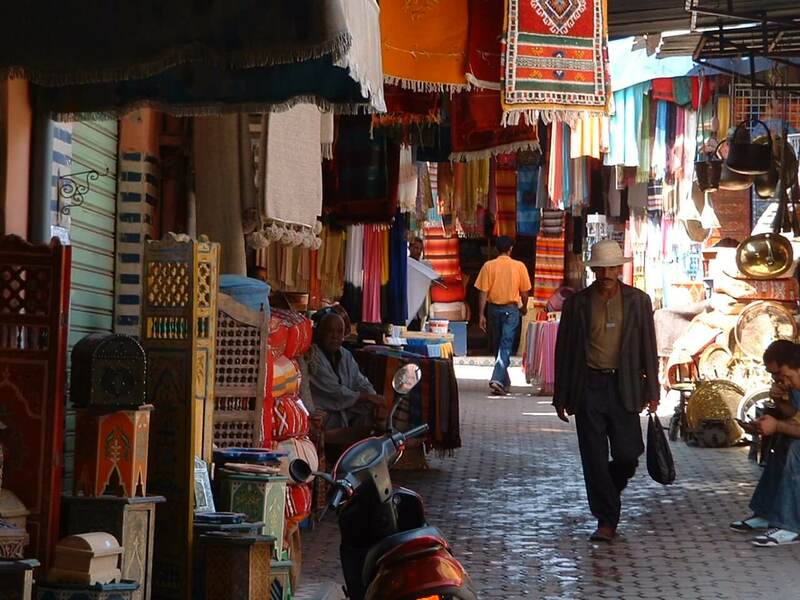 Morocco sparked my desire to travel and see other cultures and I’m sure it will you too. I hope you enjoyed from Cape Town to Cairo! Please check out the amazing bloggers who contributed to this post! I have a number of posts about South Africa and Botswana which you may find interesting and which will help with planning your trip. I lived in South Africa for a number of years and it is a country I highly recommend visiting. Love this post, Tracy! So much travel inspiration for my favourite continent, we will definitely be exploring more. Thanks for featuring us! Thanks Jurga – and so much variety! Isn’t it amazing! Everyone needs to visit! Great post Tracy! Thanks for including Expat Getaways 🙂 I’m getting back to Africa in May and this has been really helpful for planning our trip. Wow what an incredible and thorough guide! I have never managed to get to this continent but am determined to! Would love to explore Cape Town! Where would you suggest is best for safari?! Great post . Thanks for the Africa inspiration and for featuring me. Beautiful read! I didn’t know so many things and I bet there is so so much more to learn of this gorgrous continent! It is a fantastic continent to explore! Wow, amazing collaboration! I really hope to get to Africa soon. There is so much to see there and this post captures that perfectly! Wonderful post!! The pictures of all the wildlife are INCREDIBLE! 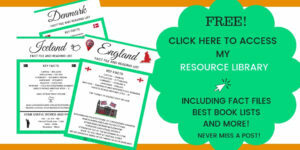 Thanks Alice – some amazing stories and things to do! all totally amazing experiences! I lived in Botswana for a while – amazing place! I want to go gorilla tracking and see the dunes in Namibia. And everything else too! Go to Cape Town again, and also explore more of Tanzania! Me too Jennifer! So much to see and experience! Thanks for the compendium of posts on Africa. I must get back to Africa and spend some serious time there. I have only gone to Morocco for a month so far. I know – some amazing places in Africa to visit! Thanks for including us in the awesome roundup! Thanks for linking up with #wkendtravelinspiration, see you next week! Thanks for contributing Jim – it’s a great collab! What an icredible variety, I’d love to see the mountain gorillas, they’re so rare now, however it’s interesting to read about where to see lesser-known architectural sites too. Wow, this collaboration is amazing. Africa is on my bucket list and I wish I could take a few months off to visit all of these lovely places. The baby gorillas are so fluffy and cute. Thank you for sharing. It’s a pretty amazing selection! And a pretty amazing continent! I grew up in Benoni!! So glad you enjoyed it! 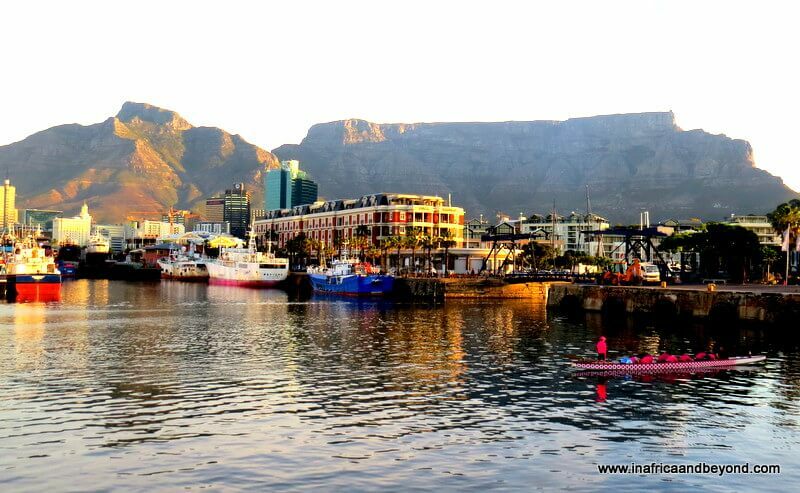 I love Cape Town – planning to spend some time living there in the future! So many amazing places! I’ve always wanted to go to Morocco and riding camels in the desert seems like a really stunning thing to do! I would love to try so many of these – gorillas would be amazing to see in the wild! 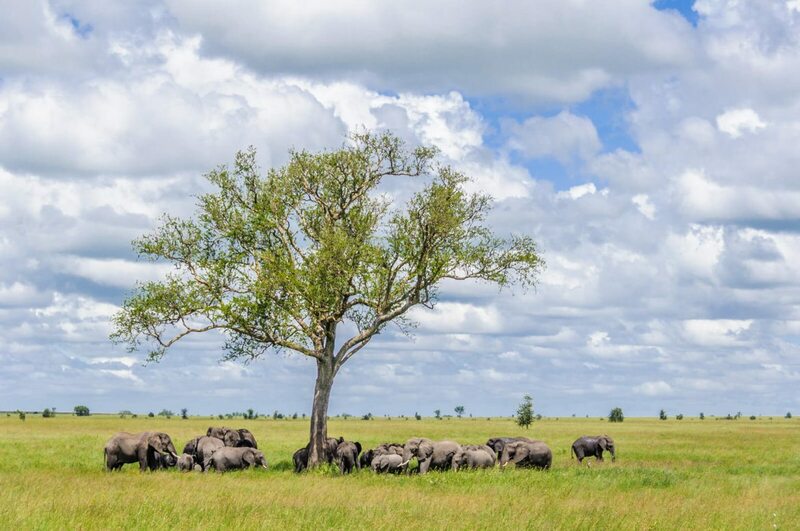 The elephant colony in Tanzania is adorable! I love how they care for each other and stick together. Fun fact: I saw and fed a black rhino in Zoo Miami many years ago. The gorillas from Rwanda sound lovely from both collaborators. I think I would like it there because we are nature lovers. I would love to see the gorillas too! Amazing to see them i think! I’ll be saving this post. What a fantastic way of getting a broad view of an enormous country filled with amazing sights and tastes. What a fantastic collaboration on Africa! Mr. Nerd and I haven’t been south of France yet (unfortunate! ), but I can’t wait to hit Africa and explore. So many great things to see (more than I thought, in fact, judging by this post)! I think we’ll plan to hit Morocco first. 🙂 Thank you for a brilliant overview; we’re definitely saving this for later. All I can say is these are awesome places to visit and explore. Your pictures are great and really capture all the wonderful things to see and do. Would love to see all those animals in the wild. Thanks for sharing a very in-depth post with great tips. Will save for a future visit! Inspiring post Tracy. Morocco is high on our family travel wish list currently! So much diversity and beauty to explore. Thanks for sharing with #FarawayFiles! I’ve only been to Morocco in Africa and each country I read I was like “I want to go there!”. Tanzania, Mozambique, Sudan, Madagascar… Such a great source of wanderlust and I hope that it doesn’t take me too long before I get to start visiting these incredible countries. Thanks for sharing Tracy! So glad you enjoyed it David! Wow, this post is amazing!!! It practically has everything I need if I ever plan an African trip. And I really really do want to visit Africa someday (though not solo). Going on a safari and seeing the mountain gorillas and the Great Migration are all such huge travel bucketlist activities for me. And as well as Zanzibar and Morocco. I’m definitely saving this for the future! What a wonderful and inspiring post! Africa is full of hidden gems and natural wonders! I´ve taken some notes, mainly of the counties I´ve never seen as a travel destinations before! Can´t waint to visit Rwanda and Mozambique! Thanks for sharing! Great stuff. I’ve got a few friends from Africa and reading this post makes me realise there so many countries in the region I still haven’t visited yet. fantastic! 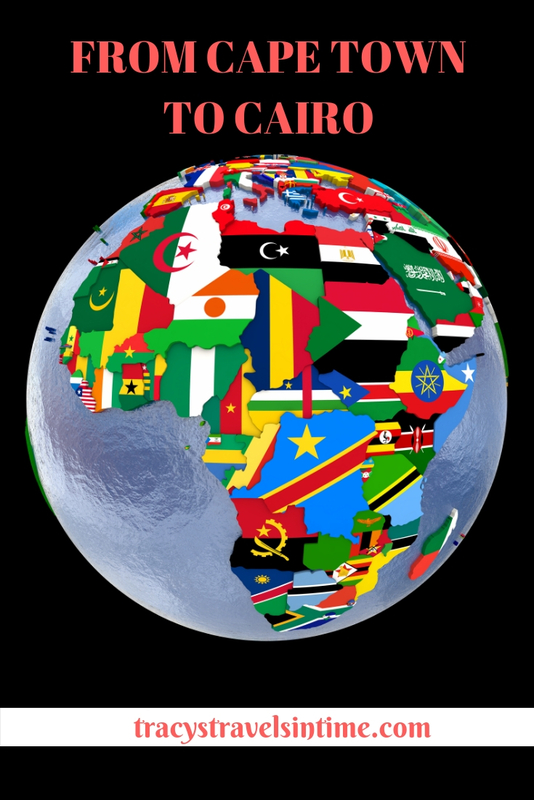 its a fab continent with so much to offer! 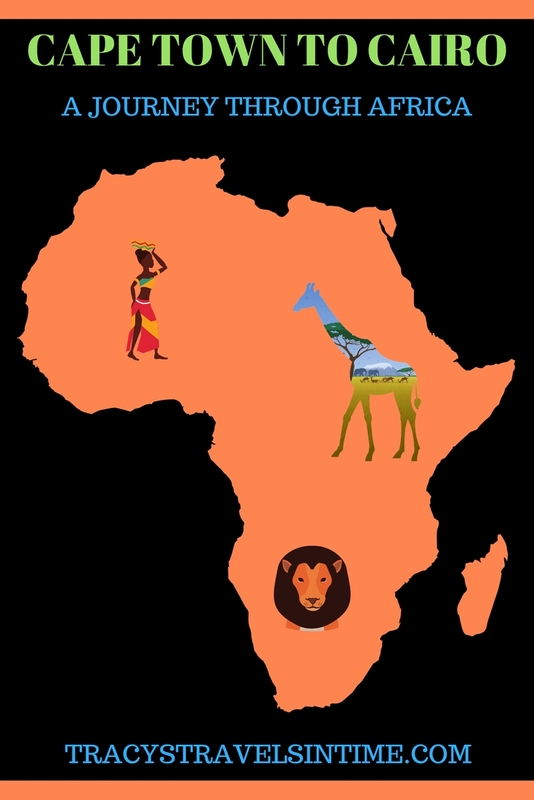 What a great overview of Africa! Rwanda has always been on my list because I studied the ethnic conflict there in depth in uni, but it’s never been a very accessible country to travel to, so I haven’t read much from bloggers on Rwanda. Thanks for sharing this – you’ve inspired me to book a trip to Africa asap. great Diana I am so glad! Thanks for your contribution Jen! 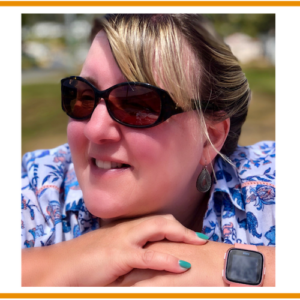 Thanks Mel – all the awesome contributors have made this a brilliant post. what an awesome post!! def inspired some major wanderlust!! I’ve been to Morocco but want to see so much more of Africa!! 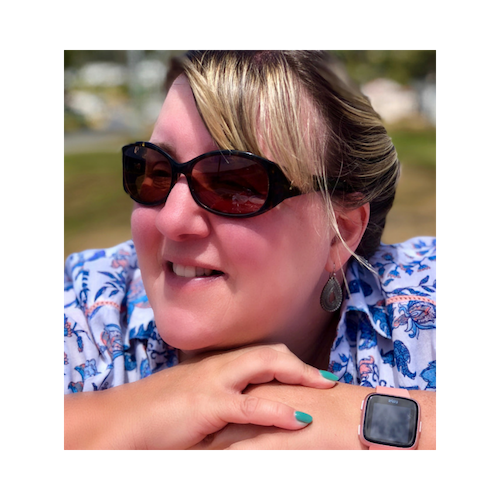 Thanks Anda – I think this is a brilliant post as there are so many different experiences shared. 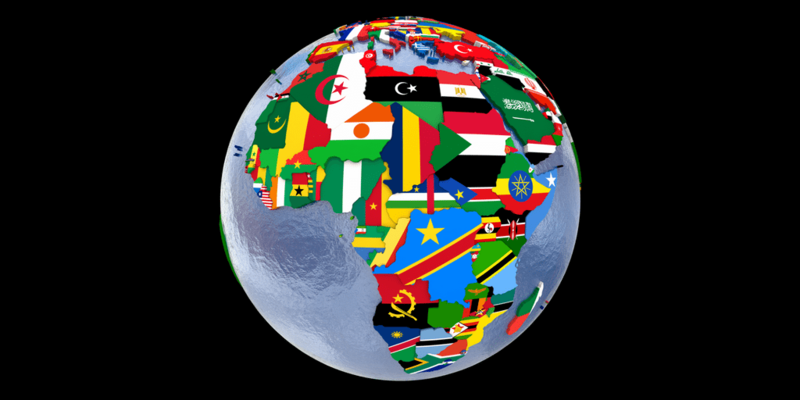 Africa is an amazing continent with such variety of countries, peoples, cultures and traditions. I have not made it to Africa yet. So much inspiration in this post – I want to visit them all. I think I will start with South Africa though. Thanks for sharing on #TheWeeklyPostcard. South Africa is a great country to start with! Enjoy! I have been to Cape Town and to Cairo but none of the places in between. They all look so great. So many great places to visit! I also need to spend more time exploring this amazing continent! Absolutely amazing post! I’m planning on flying out to Africa for twelve months in January and hoping to do the Cape to Cairo route. This is so helpful as I’m only just planning which countries I want to visit! Thank-you glad you enjoyed it! So many fantastic places to choose from – have a brilliant trip! The part on Uganda was spot on – a beautiful country with amazing variety in plant and animal life. Uganda can learn a lot from the government of Rwanda’s tourism marketing strategy. Uganda for example has more mountain gorilla families than any country in the world and in two parks (Mgahinga and Bwindi). I look forward to the day the government of Uganda channels more of its resources to marketing the countries amazing tourism potential.